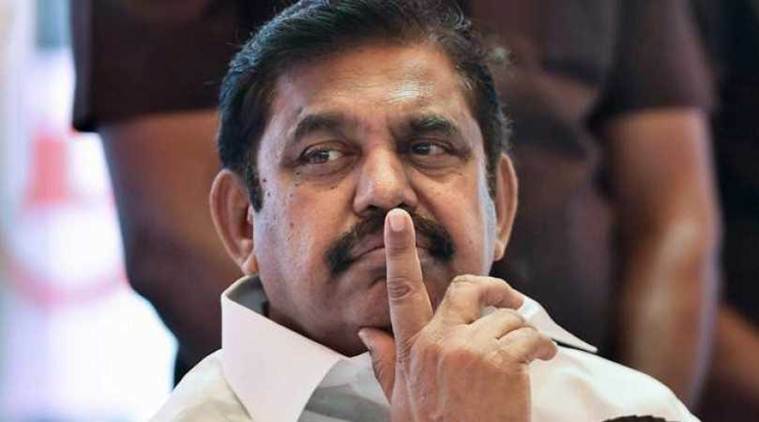 Chief Minister K Palaniswami said 52 people had died in the cyclonic storm that left a trail of destruction in districts such as Pudukottai, Nagapattinam, Tiruvarur and Thanjavur. The Tamil Nadu government Friday enhanced the compensation for fishermen whose fibre reinforced plastic boats fitted with nets had been damaged during the November 16 cyclone ‘Gaja’ that lashed the Cauvery delta districts of the state. The chief minister made the announcement while replying to a special call attention moved by the opposition, including DMK, which sought waiver of crop loans in the affected areas. “Following pleas from ministers and members of the House, I would like to inform that the relief awarded to fishermen whose FRP (Fibre reinforced plastic) boats fitted with nets were damaged completely will be hiked to Rs 1.5 lakh from Rs 85,000,” the chief minister said. Recalling the devastation caused by the cyclone,he said while 52 people were killed, standing crops including horticultural crops to the extent of 1.22 lakh hectares were damaged. Over five lakh houses were damaged while over 2.21 cattle and poultry also perished, he added. Palaniswami said his government had sanctioned Rs 10 lakh as relief to families of those killed, besides providing relief to the injured. Preventive action by the government had minimised the loss of lives as about 81,000 people were evacuated from low lying areas prior to the cyclone’s landfall, he said. He also recalled the government releasing an interim assistance of Rs 1000 crore towards relief and rehabilitation. This included assistance for replanting of coconut tree saplings. Families who had left the relief camps were given a special relief package of 27 items. Further, 90 per cent of electricity supply has been restored in the affected areas while the rest would be covered soon, he added. Earlier, Leader of the Opposition M K Stalin urged the government to waive crop loans availed by farmers from public sector and cooperative banks, educational loans as well as the loans availed by women self-help groups in the affected districts.